You've probably heard a lot about Vitamin C and your immune system. But this nutrient could also play an important role in how your body reacts to stress. 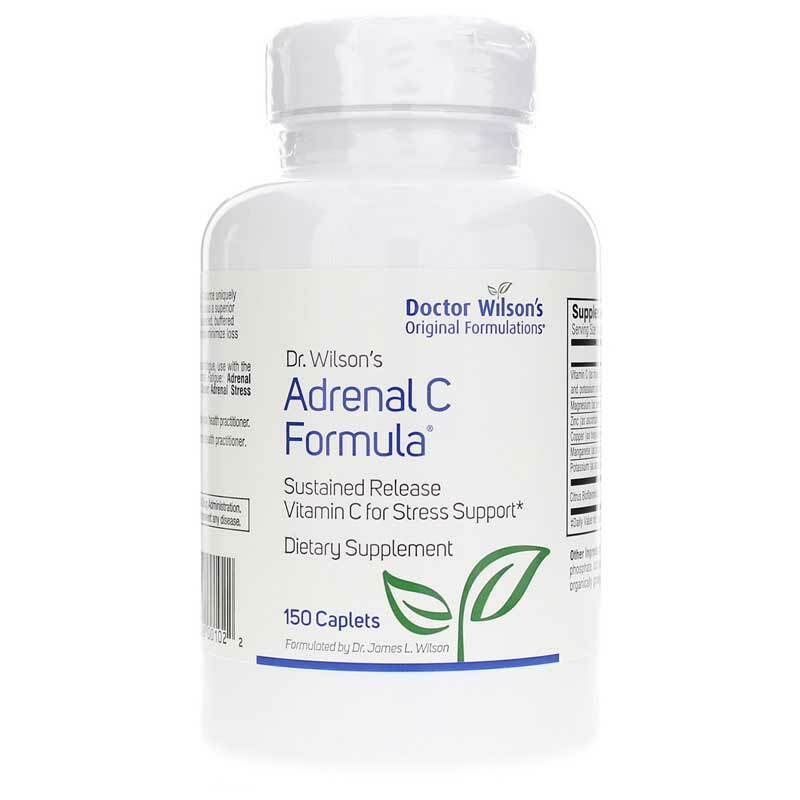 Adrenal C Formula from Dr. Wilson's Original Formulations is specifically designed to support your body under stress and when you may be dealing with overworked adrenal glands. 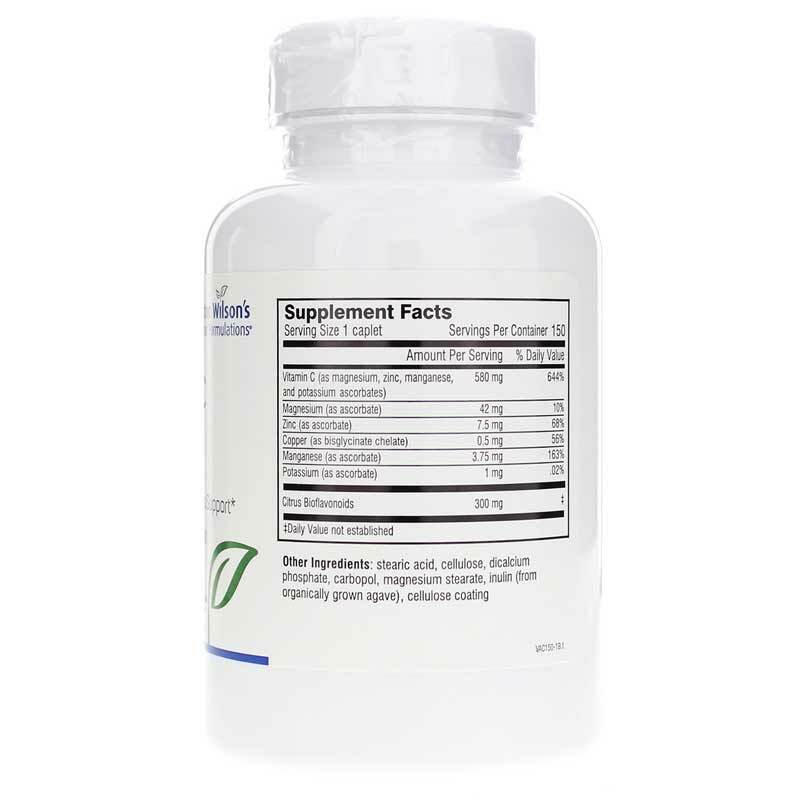 It is a completely natural Vitamin C complex that releases nutrients at a steady, sustained rate throughout the day. 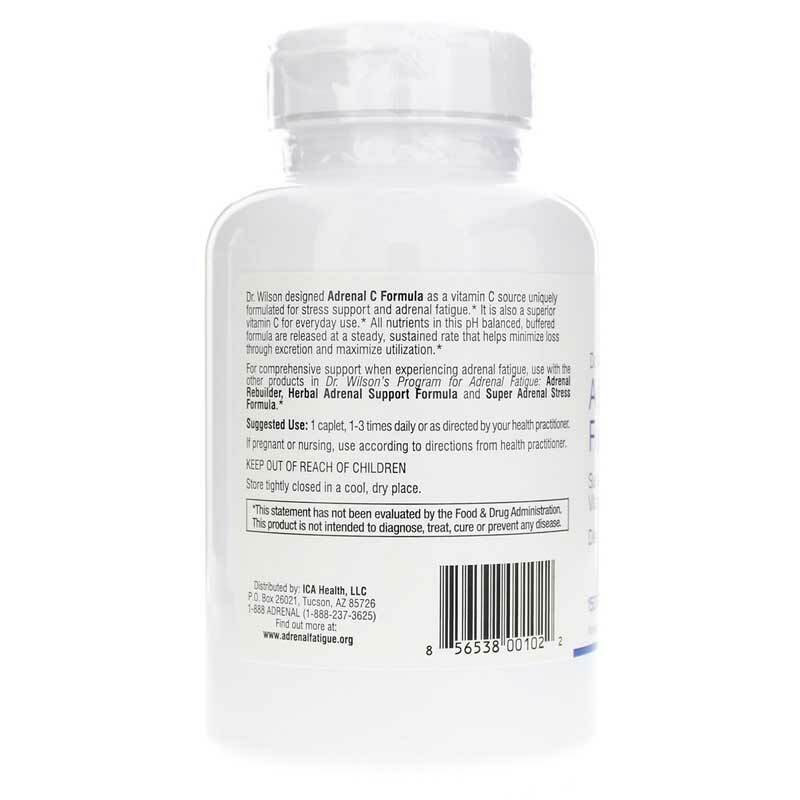 Other Ingredients: stearic acid, dicalcium phosphate, cellulose, inulin, carbomer, magnesium stearate and pharmaceutical glaze. Contains NO: milk, egg, sugar, salt, wheat, gluten, nuts, yeast, corn, soy or artificial coloring, flavoring or preservatives. Adults: Take 1 to 3 caplets daily or as recommended by your healthcare practitioner. This vitamin is easy on your stomach and helps with bouts of occasional stress, I highly recommend it. I've been off and on it for a long time, and I notice a huge difference whenever I take it. It really helps me to handle occassional stress so much better than whenever I'm not on it. I have just started this product for one week. I don't see any adverse effect. I think it should be more effective as I continue to use it a bit longer. The Adrenal C Formula seems to be helping. I found these products to be of good Quality and effective for my needs. I believe Dr Wilson's Adrenal C and Stress Formula tablets have been making a difference for me. Sticking with them! I recently started taking Dr Wilson's Adrenal C formula and the Super Adrenal Stress Formula. These are the only things that have helped me get back on track. Thank you. Like the product, good price and super fast shipping.